Address: 692519 Primorsky Kray, Ussuriysk, box 34, Nekrasova st., 19. Zapovednik Ussuriysky, in Primorsky Krai, was established in 1932. Its area is 40,4 thousand ha. 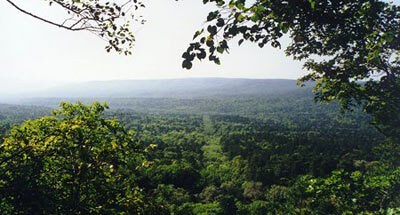 The Zapovednik is located on the spurs of Sikhote-Alin, in the upper reaches of the basins of the rivers Komarovka and Artemovka. The topography is low-mountainous (elevations of 300-400 m above the sea level prevail, the highest elevation being 700 m). Woodland covers 99% of the area. The plant cover shows two altitude zones: up to 600 m — coniferous-broad-leaved forests grow; higher, north and northwest of the Zapovednik, fir-spruce forests grow. Coniferous-broad-leaved forests are formed mainly by the following species: Korean pine, needle fir, heartleaf hornbeam. Some sites display a high species diversity: in certain plots smaller than 1 ha in area up to 50-60 tree and shrub species are found, several liana species and more than 100 herbaceous plants. 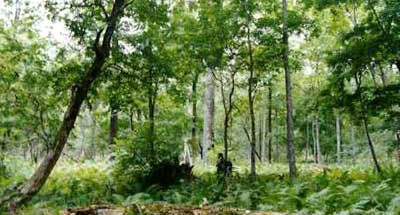 Fir forests are also famous for their diverse flora. It includes: lindens, Amur oak tree, Manchurian walnut, Actinidia arguta, etc. The fir-spruce forests are formed by Yeddo spruce (Picea jesoensis, Khingam fir, Abies nephrolepis, Korean piner Mongolian oak, etc. At the rivers valleys broad-leaved forests of Manchurian ash, the elm Ulmus japonica, Japan poplar grow and there are also small sites of alder and Chosenia. Plants growing on the cliffs and talus are peculiar. Occasionally, in between the rocks lonely-standing individual trees of Siberian pine, Yeddo spruce, Khingam fir, Mono maple, Acer ukurunduense, Syringa wolfii, Woodsia polystichoides can be found. On the southern-facing slopes grow: needle juniper (Juniperus rigida) and Juniperus davurica. 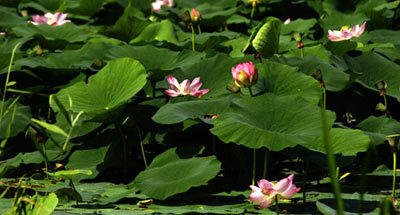 The flora comprises about 850 species. The Manchurian floristic complex dominates. The rare and endangered plant species are: Japanese red pine, tea-plant, Chinese ginseng, Japanese yew needle juniper, etc. The fauna is typical of coniferous-broad-leaved and broad-leaved forests. The mammals dwellers are: the wild boar, Manchurian wapiti, musk deer; indigenous sika deer has been restored. The common species are the Asiatic black bear and ermine. There are diverse shrews and bats usual. The following birds are common: warblers, Siberian blue robin, nutcracker, and hazel grouse. Among the reptiles, Ussurian mamushi and Aurinia saxatilis are numerous, Amur chickensnake and Pallas' coluber also occur; Vibakari snake is rare. There are numerous animal species listed in the Red Data Book of the Russian Federation, including the tiger (constantly dwells and breeds), Asiatic black bear, Felis euptilura. The Red Data Book birds are: the mandarin duck, black stork; amphibian species: Onychodactylus fischeri.